Intriguing, isn’t it? And also so true. Particularly, if you consider how the digital landscape has changed in the last couple of years. 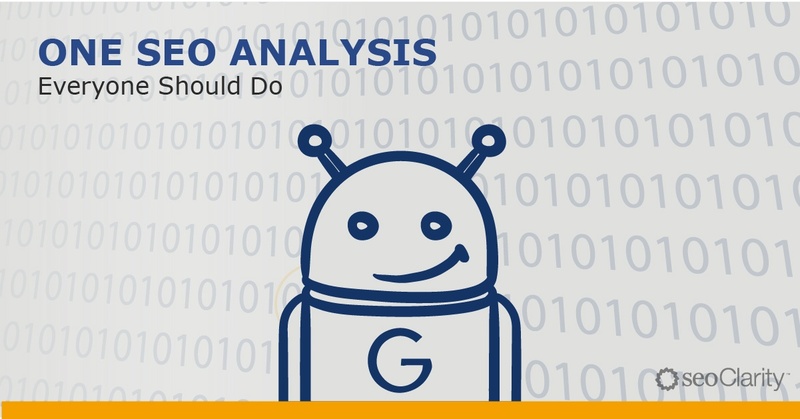 Recently, we invited David along with Paul Martin, Sr. SEO Specialist, from Grainger to expand on this thought further and participate as industry experts in webinar about local optimization. 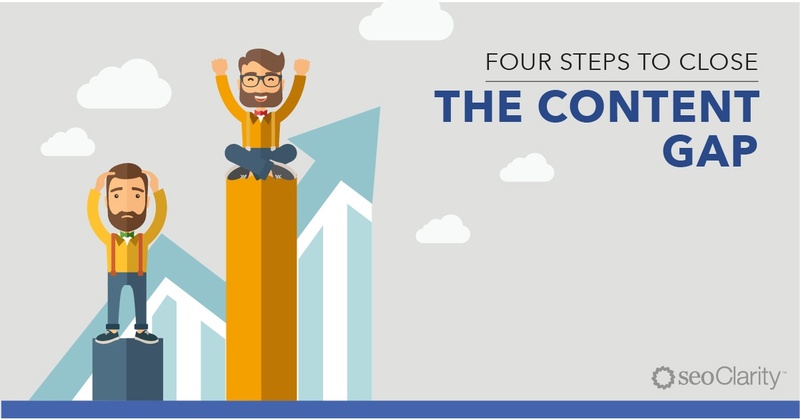 They talked about new strategies you need to achieve success in the today’s search landscape. And below is a quick run through of what they shared. I’m sure we can all agree that the Google’s strategic position of local search has changed dramatically in the last couple of years. It had to. After all, it would be insane for any company with such a tremendous power to avail of user trends to ignore data like this. 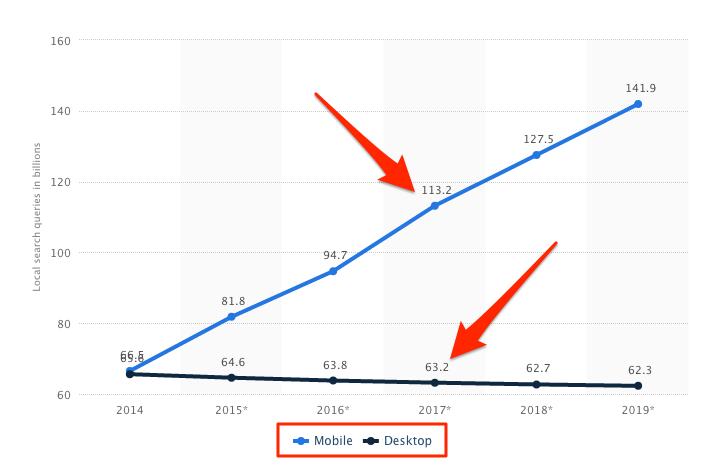 Notice the difference between mobile and desktop. Shocking, huh? But how does all that affect local search? For one, all this data reveals that although customers look for local data on their mobile devices, they don’t necessarily browse the actual search results. When using voice search, they receive recommendations and answers to their problems directly from the device. 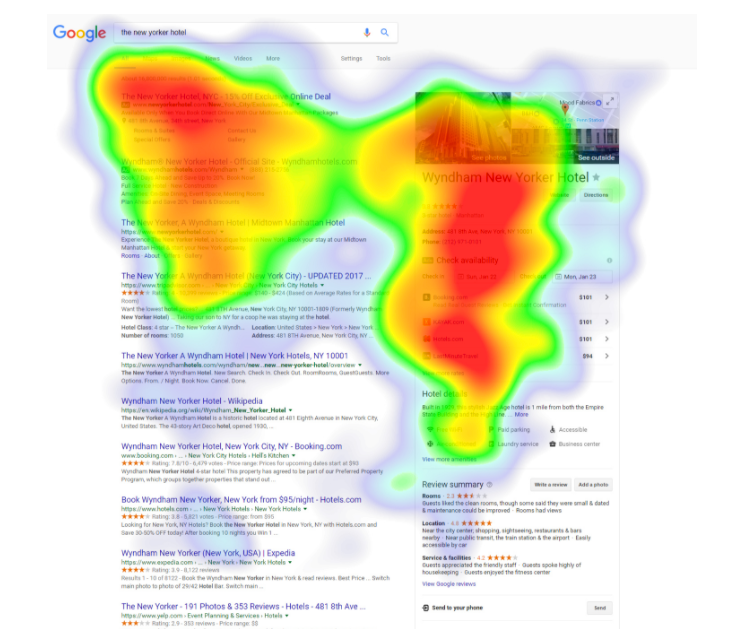 This eye tracking study by Traveltripper proved that searchers don’t use the famous F-Shaped pattern when viewing search results. And here are some ideas from David and Paul about optimizing your site for the new local search. Location landing pages that are discoverable by Google, and optimized to position your business within a certain location. 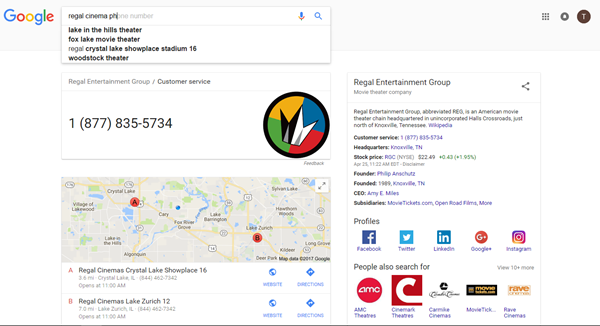 Properly optimized Google My Business submission, with relevant and up-to-date information. Having the accurate data in critical sites and business directories within your digital ecosystem (for example, primary data aggregators, consumer portals, key local sites in your industry). Citations, still one of the top local ranking factors. Reviews, ideally relevant to that particular location. The above are the must-have minimum entry requirements for any website wishing to rank in local search. But they aren’t the deciding factors. At least not anymore. You know, you could easily say that your GMB listing is nothing but an API for Google (and note, that’s David’s idea, not mine). Just think how often the search engine pulls out that data to display directly to users, and that’s often before they even see the SERP result. Take a look at these search results. Notice how the search engine provides the answer right at the top of SERPs, without forcing you to review anything else on the page? But it gets better. A friend of mine from Ireland noticed that, in google.ie, the search engine shows the phone number right in the suggestions. Meaning that a user doesn’t even need to see the actual SERPs to get it. But where does Google take that information from? Exactly, your data. Having the most up to date, and well-optimized Google listing is the key factor that’s going to influence your local visibility moving forward. Sidenote: Seeing the above makes the following data unsurprisingly obvious. After all, why would users need to click if Google provides them with the most important information within the results? Reviews work because they build engagement. Simple. Bots use entities to better understand a searcher’s intent, and in turn, provide a more relevant answer to a search query. And reviews that focus on or come from a specific location are one of the three ways (along with links and citations) to build that entity authority, helping to position your site at the top for relevant searches. Finally, to win in the new local search landscape, you need data. And lots of it at that. Moreover, you need a clear way to process and correlate it. And that’s particularly true if your organization operates in multiple locations, nation- or worldwide. You need a way to understand your customers’ buying intent depending on their location. And then, use that to improve various areas of your business. The same goes for reviews. Comparing feedback from different locations can reveal which customers might need special attention. Quick response when they call, and much more. And finally, knowing where local customers find your business will help you calculate the ROI of citation building. That’s exactly the insight delivered by our new local search platform, LocalClarity. Sign up for free beta access to test our location optimization, review management, and local search insights generation platform. To view the full webinar, check it out here.